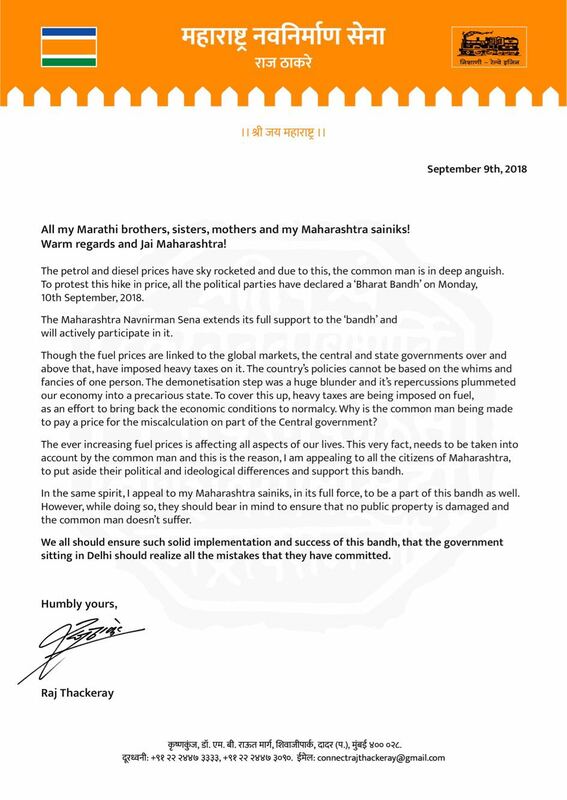 Mumbai: The Maharashtra Navnirman Sena (MNS) has decided to support the opposition call for Bharat Bandh on Monday against rising fuel prices. “We will actively participate in tomorrow's bandh. We have appealed to shopkeepers to keep shops and establishments closed. We won't resort to violence, but we will ask people to support the bandh,” said MNS leader Sandeep Deshpande. 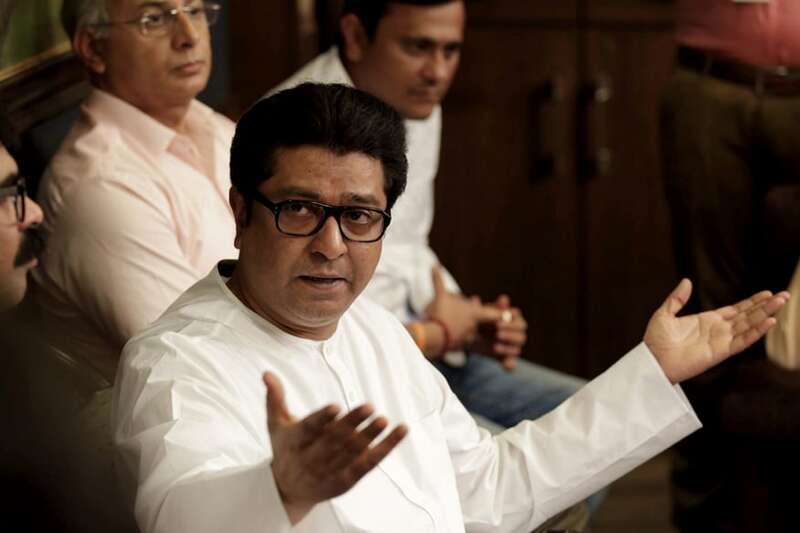 In a statement, the Raj Thackeray-led party acknowledged that fuel prices are linked to international markets, but said central and state taxes were adding to the common man’s burden. “The country’s policies cannot be based on the whims and fancies of one person,” it said. Opposition parties in Maharashtra have also appealed to BJP ally Shiv Sena to support the Bharat Bandh. The Congress has given call for a nation-wide shut-down on September 10 in protest against rising fuel prices and inflation. Addressing a press conference with Mumbai Congress chief Sanjay Nirupam, NCP spokesperson Nawab Malik had said, "It is a great opportunity for Shiv Sena chief Uddhav Thackeray to give a jolt to the BJP government. If the financial capital (Mumbai) shuts down, it will be like the whole country shut down," Malik said.